The Ring System, a structure constructed in space when Earth was abandoned as an environmental preserve, contains a society divided by money and status. Mitsu, a sixteen-year-old lower-level window washer whose father was killed when he fell from the surface of the Ring, struggles to define his role in this stifling and segregated civilization. Unsafe living conditions and unrest among the residents ravage the lower levels, but Mitsu and his colleagues also struggle with loneliness and thwarted ambitions. 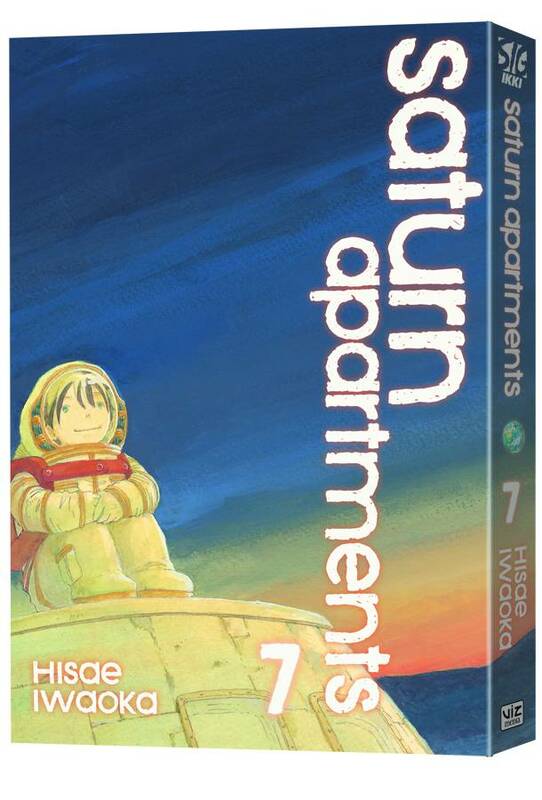 In the final volume of Saturn Apartments, Mitsu must decide whether he will descend to the surface of the earth in an experimental device and attempt to change the fate of the Ring System forever.